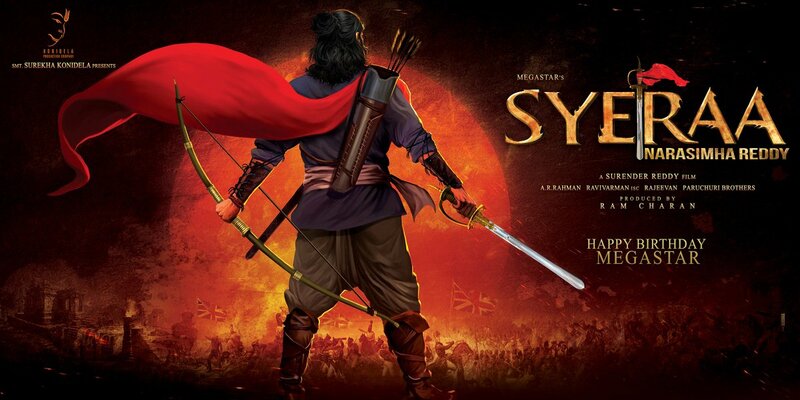 Sye Raa Narasimha Reddy is an upcoming Chiranjeevi starer Telugu historical action drama. The film is produced by Ram Charan and music is scored by popular Bollywood composer Amit Trivedi. Apart from Chiranjeevi, the film consists of tremendous acting talents such as Amitabh Bachchan, Vijay Sethupathi, Nayanthara, Sudeep, Tamanna, etc. The teaser of this magnum opus has been launched in a grand event. Check out the teaser of Sye Raa Narasimha Reddy here.